Rich Strum, Director of Interpretation and Education at Fort Ticonderoga, will offer a program entitled “Conquest, Commerce, and Culture: 400 Years of History in the Champlain Valley” at Saranac Village at Will Rogers in Saranac Lake on Sunday, March 8, 2009. Samuel de Champlain first saw the great expanse of Lake Champlain, the Green Mountains to the east, the Adirondacks on the west in 1609. New York State, Vermont, and the Province of Quebec are commemorating the 400th anniversary of Champlain’s explorations this year through a variety of programs and events. Strum will provide an illustrated overview of four centuries of the Champlain region’s history. He will discuss military contests for control of the vital Champlain corridor, the role the lake has played in economic growth and expansion, the lasting impact of 150 years of French dominance in the 17th and 18th centuries. The presentation will begin at 2:00 p.m. and is offered at no charge to member sof the Adirondack Museum and children of elementary school age or younger. Free admission will be extended to all residents of Saranac Village at Will Rogers. The fee for non-members is $5.00. For additional information, please call the Education Department at (518) 352-7311, ext. 128 or visit the museum’s web site at www.adirondackmuseum.org. Rich Strum has been the Director of Interpretation and Education at Fort Ticonderoga since 1999. He serves as North Country Regional Coordinator for New York State History Day. He is the author of Ticonderoga: Lake Champlain Steamboat, as well as two books for young readers: Causes of the American Revolution and Henry Know: Washington’s Artilleryman. He lives in Ticonderoga, N.Y. with his wife and daughters. Brian McAllister of Saranac Lake conducts bird surveys for environmental groups and wind-power companies, teaches ornithology lab at Paul Smith’s College and is one of the founders of the annual Great Adirondack Birding Celebration. He discusses what to look for during this winter-to-spring transition as warblers and other migrants journey north to their Adirondack nesting grounds, and he talks about tower lights that keep some birds from ever making it back. Q. Can we call you a professional birdwatcher? A. I guess I’d call myself a field ornithologist. I’ve been lucky to piecemeal a career in birding here in the Adirondacks. Q. Do you bird-watch every day? A. I bet I do. I’m constantly tuned in to what’s going on, even if I’m just driving somewhere. Q. So how was your winter? A. It’s been amazing. Every year there is some sort of irruption, with one or two species that sort of run out of food up north, so they come down south to the border states and into New York and Southern Canada to find cones or other food. This year it’s been phenomenal because everything came: red crossbills, white-winged crossbills, bohemian waxwings, redpolls, pine siskins, pine grosbeaks, hawk owls. Also, it’s a record year for snow buntings. Q. What are you looking for now? A. It’s funny, in March I veer away from the winter up here and focus on what’s happening in Florida and the Caribbean because a lot of migratory birds are starting to jump out of the tropical rainforest and work their way up the East Coast. Last night I was checking the Internet for rare bird alerts in Florida, and they’re seeing a bunch of warblers. They’re on the move. Along Lake Champlain and Lake Ontario and the St. Lawrence River we’ve got red-winged blackbirds and sparrows coming up from Mid-Atlantic states — also rusty blackbirds, brown-headed cowbirds, anywhere from March 1 on. Some winter birds begin to sing in March in courtship, like golden-crowned kinglets and brown creepers. Owls are on territory now and they’re breeding. Q. You’ve done some field surveys at potential wind-turbine sites north of the Adirondack Park, but there’s a lot of talk lately about another kind of tower. A. Yes, communications towers. The most famous tower-kill study was done by Bill Evans of the Cornell Lab of Ornithology, and he conducted most of his dead-bird counts at television towers in the Boston Hills area of western New York. Tower kills per year are far worse than all wind turbine deaths put together. Outdoor cats kill the most birds, then towers and their guy wires are a close second. But what we have to realize is that these kills only occur on nights of heavy fog or very low cloud ceiling when there’s a heavy migration. The birds see this glow in the fog, and for some reason — we don’t know why — they’re attracted to it. They start circling, around and around and eventually they die of exhaustion or they actually collide into the tower or, more likely, into the unseen guy wires. . . . The solid red lights on top of towers should all be changed to blinking or strobe lights. Researchers have discovered that those are less harmful. When I lived on Averyville Road in Lake Placid there was a tower behind my cabin and on foggy nights it would cast this eery red glow, and I could see how birds are attracted to it. 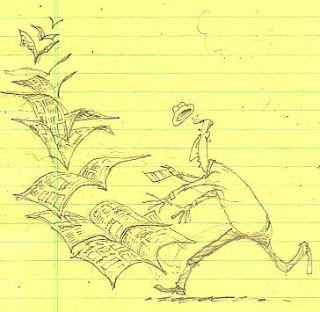 Editor’s note: According to McAllister’s copy (thanks, Brian) of “Living on the Wind” by Scott Weidensaul (North Point Press, 1999), two to four million birds are killed by towers taller than 200 feet each year in the Eastern United States alone. To sign a petition asking the Federal Communications Commission to minimize tower kills click here. To follow current sightings by Brian and other Northern New York birders, click here. Brian’s own natural-history observations and photographs can be found on his blog, Adirondacks Naturally. 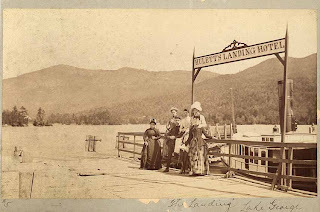 Hulett’s Landing on the east side of Lake George is the subject of a new Adirondack blog, The Huletts Current, and a new book by George Kapusinski whose family operates Huletts-On-Lake-George. It turns out I’m connected by marriage to the Hulett family that established Hulett’s Landing. So I thought I’d offer a little history – one that ties eastern timber rattlesnakes with an early noted librarian and explorer (now that’s a combination!) 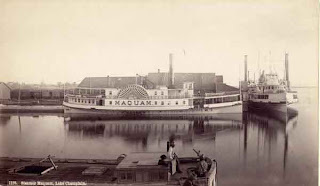 and at the same time adds a new steamship to the history of Lake George. » Continue Reading. There’s channel surfing in Tupper Lake. And jumping fire in Tupper Lake. Summer skimming on Lake Flower, Saranac Lake. Plus the midnight ride of some guy in underwear, Tupper Lake. Most sledders don’t do such badass stuff, of course. And the people in these videos don’t seem to be endangering anyone but themselves. But this one is scary: “Coming from the Tap Room in Raquette Lake, NY.” The helmet-cam video would actually be boring if it weren’t for the tension created by those words, “coming from the Tap Room,” and the fact that the driver passes a car and other sleds on a public road while going 67 miles per hour. As my father often says, these guys are dearly wanted in heaven. Thirteen so far in the state this winter. No more, let’s hope. Last month, the New York Post outed retired CEO Sandy Weill for vacationing aboard a $45 million Citigroup jet as the foundering company he built received a $45 billion taxpayer bailout. Ever since Congress scolded auto-industry executives for winging in on corporate jets to ask for government money, the flight habits of the highly paid have come under scrutiny. But so far, the Adirondack Regional Airport in Lake Clear has seen no decrease in private plane traffic, according to manager Ross Dubarry. That’s good for the airport, because fuel sales, deicing and other services to Gulfstreams, Learjets, Falcons and other private craft cover approximately 75 percent of the airport’s $1 million annual operating budget. Lake Clear is the only place in the Adirondack Park with a runway long enough to accommodate big jets. Wealthy camp owners, including Weill, who has a retreat on Upper Saranac Lake, flock in on Fridays and out on Sundays. It can take as little as 40 minutes for them to soar in from Teterboro, just outside of New York City. The other news at Adirondack Airport is that commercial-passenger numbers are way up, Dubarry reports, from about 2,000 emplanements in 2004 to more than 8,000 since Cape Air took over commuter service in February 2008. Cape Air flies nine-seaters and offers bargain rates (about $80 one-way) to Boston. By far most visitors still reach the Adirondacks by car, but don’t expect to see Weill at a Northway rest stop. He voluntarily gave up his Citigroup Bombardier Global Express XRS the day after the Post story ran. But the 75-year-old, whose net worth Forbes placed at $1.3 billion in 2008, still pays the Adirondack Airport a $20,000 annual fee for services and space for his private hangar (the tallest building in Lake Clear). “He is coming in and out on a different aircraft,” Dubarry says. With the approach of the 2010 federal census and the ensuing remapping of representative districts for the state legislature and US Congress, New York’s legislative and executive leaders have a rare opportunity to repair the fractured battlefields of our district maps: the result of decades of partisan turf wars. If lawmakers are looking for a place to start this process, they might consider the case of the Adirondack Park and the north country. The 23rd represented by Republican John McHugh; the open-seated 20th; The 24th represented by Democrat Michael Arcuri; and the 21st (holding just a sliver of parkland in northern Fulton County) represented by Democrat Paul Tonko. Combined, these districts stretch over half the state and contain more than two-and-a-half million residents. Easy enough to see how the interests of the park might become diluted. The map above advances an alternative: a single congressional district encompassing the entire Adirondack Park plus the balance of St. Lawrence, Franklin, Clinton and Warren Counties, and some parts of Saratoga and Washington Counties beyond the Blue Line. Using numbers from the 2000 census this boundary contains close to the 654,361 New York residents that were required to constitute a district nine years ago. With New York slated to lose one representative in the upcoming reapportionment, and with expected population increases, that 654,361 average will undoubtedly increase for the 2010 redistricting process. As it does, the district can absorb more constituents in Saratoga and Washington Counties (making all efforts to avoid Saratoga Springs, as it would be a pity to deprive Albany’s congressional district of the race track). There are numerous arguments in favor of a congressional district with the unified park at it’s core. Perhaps the strongest is the intent of federal lawmakers as expressed in the 1965 Federal Voting Rights Act. The law sets out explicit directives that state legislatures create compact and contiguous congressional districts and that they respect natural and artificial boundaries. This map is merely a starting point. We welcome your comments and any alternative congressional district map you may wish to submit. The first debate for New York’s 20th Congressional District will take place in Saratoga Springs this Tuesday, four weeks before the March 31st vote. Before the media turn their focus exclusively upon the candidates, their war chests and attack ads, let’s take a moment to contemplate the peculiar 10-county district itself. And — more broadly — the process by which such a tortured political boundary is created. With $12.5 million in campaign disbursements, the 20th CD became notorious last year as one of the country’s most expensive house races. While it held the number one position in November, by the time the last campaign finance reports were in, it had slipped to second place behind California’s 4th CD, which lumbered in at $16 million plus. The high cost of the once stable Republican district owes to the perception among state and national GOP leaders that the defeat two years earlier of John Sweeney by Kirsten Gillibrand was an aberration. Grim prospects for Republican victories elsewhere made the 20th — with a 67,456 active voter advantage in party registration — appear to be as good a GOP redoubt as any. Throw in a wealthy, self-financing Republican candidate and a district that encompasses at least four media markets and you practically guarantee a broken spending record. In a state that has become infamous for gerrymandered congressional districts, the 20th — stretching from Saranac Lake in the north to Millbrook and Hyde Park in the south, to the Southern Tier town of Sidney in the west — might best be viewed as three panhandles in search of a pan. A slight detour here for those who have forgotten high school civics class: congressional district boundaries shift every decade following the decennial census and reapportionment by congress of the 435 house seats among the 50 states. The process of drawing boundaries to encompass equal numbers of constituents is left to the legislatures of individual states, a smooth enough drill if your legislature is, well, functional. In Albany, however, the last three redistricting cycles have coincided with legislatures divided by party and geography. In the case of the last redistricting in 2000-2002, deeply divided. Consequently, a map of New York which naturally breaks down into neat, logical regions has been jig-sawed into a puzzle of pseudo-fractals and jagged rorschach blots. All of this is about to change. With both houses of New York’s legislature and the executive branch held by the same political party for the first time since the 1970s, the redistricting machinery is about to run a lot faster, and might just result in a long-overdue return to cohesive districts in the wake of next year’s census. Rule #1: Keep your party’s incumbents safe. If reapportionment robs your state of one member of its delegation (as will happen to New York in 2010), make sure the seat is pulled out from under someone from the other side of the aisle. Rule #2: Divide and conquer. If a geographically unified base of support for the opposing political party can be distributed among separate districts with larger safe populations of your own party, get out your meat cleavers. Rule #3: If that hostile voting block is too large to be safely subsumed by friendly districts, then isolate and ignore it. How these rules will affect the future of New York’s 20th Congressional District will largely depend on the outcome of the balloting on March 31st. One thing is certain in any case. With the special election this year, and an immediate reelection campaign in 2010 followed by a brand new race for a potentially radically redrawn district in 2012, this contested terrain will continue to be very expensive property for the incumbent. Come back tomorrow for the Almanack’s modest proposal for a redrawn congressional district that neatly encompasses the entire Adirondack Park. The Adirondack Research Consortium (ARC) invites research papers to be presented at the 16th Annual Conference on the Adirondacks on May 20-21, 2009, at High Peaks Resort in Lake Placid. The conference program will explore the latest information and research on such topics as community development and infrastructure, forest management, trends in private land development, findings of the Adirondack Assessment Project, GIS collaborations, green farming, energy technologies, the impacts of climate change, and opportunities to reduce our carbon footprint. The ARC invites and welcomes research on these and other topics including natural sciences, social sciences, and the arts and humanities relevant to the future of the Adirondack region. To be considered, complete the 2009 Abstract Submission Form, which is available on the ARC webpage at adkresearch.org. An ARC conference committee will review all submissions to determine acceptance for presentation at the conference. The ARC expects that all presenters will register for the conference. Paper Presentations: Papers will be presented in panel discussions of two or three participants that run throughout the conference. Talks must be limited to 20 minutes for the presentation and question/answer period. Your audience may have lay persons who, although they might have a keen interest in your research and results, may not be fully conversant with the jargon of your science. We encourage you to use plain language. Slide, overhead, and digital projectors will be available in all meeting rooms. Poster Presentations: Posters will be prominently displayed throughout the conference. Posters must be mounted on a rigid backing. The ARC will accept them at a designated time at the beginning of the conference. Conference staff will aid in affixing and removing the poster in the display area. An opportunity for conference attendees to meet the poster presenters will be formally scheduled during the conference. Note: Students must submit name of faculty sponsor for presentations. For more information, contact the Adirondack Research Consortium at 518-564-2020 or by e-mail at info@adkresearch.org. The submission deadline is April 1, 2009. The ARC will make its final decisions by April 15, 2009 and notify all applicants shortly thereafter. It seems every morning nowadays newspapers bring another ominous story on the poor health of, well, newspapers. Last week the publisher of the Post-Star in Glens Falls wrote to assure nervous readers and advertisers that the demise of the paper’s corporate owner, Lee Enterprises of Davenport, IA had been exaggerated. Good to know, but doesn’t it make you nervous just to have to be reassured? Last weekend the Journal Register Company of Yardley, PA–owner of The Saratogian and Troy Record–filed for bankruptcy. 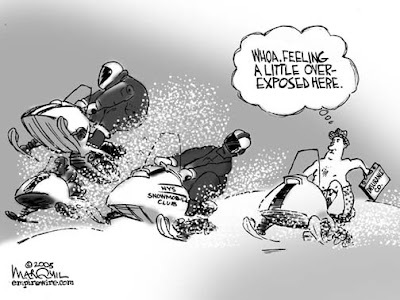 The Adirondack Daily Enterprise, privately owned by Ogden Newspapers, Inc. of Wheeling, WV, has recently jettisoned a locally syndicated column, instituted a hiring freeze and eliminated their freelance budget. Even the parent company of the Albany Times-Union, Hearst Corp. has announced intentions to sell or fold newspapers out west. This constant drumbeat is not good news for anyone who loves newspapers. More importantly, and to paraphrase a 56 year-old misquote, what’s bad for newspapers is bad for democracy. The slowdown in the economy is affecting the Adirondack Park’s two colleges in different ways. Enrollment at the private two- and four-year college is 834 right now, low for a spring semester, college spokesman Kenneth Aaron explained Wednesday. Faculty and staff have taken a voluntary pay cut (from 1 to 2.5 percent) to help make ends meet, he added. The story is different at North Country Community College (NCCC), which has campuses in Saranac Lake, Ticonderoga and Malone. While hard times are hurting four-year colleges across the United States, they are boosting enrollment at career-oriented community colleges. NCCC numbers are up 8 percent (103 students) over last spring, reported Ed Trathen, vice president for enrollment and student services. Some 2,200 students attend NCCC, more than double the number 10 years ago. “For us, it definitely has to do with people departing voluntarily or involuntarily from the workforce and looking to retrain themselves,” Trathen said. The college focuses on programs that can lead to local jobs; for example, nursing, radiologic technology, massage therapy, sports events management, and business for sole proprietors. NCCC also established a 2-year pre-teaching program that’s transferrable to SUNY Potsdam and Plattsburgh. Affordability is another factor. Tuition at NCCC, which has no student housing, is $3,490 a year. At Paul Smith’s it’s $18,460, plus $8,350 for room and board. Nurses are in demand, and NCCC received 350 applications this year for the 70 slots in its Registered Nursing program, Trathen said. In 2007 Paul Smith’s College explored launching a nursing curriculum, but no action has been taken. Kenneth Aaron said Paul Smith’s endowment is down, just like all investment portfolios. “The silver lining is we’re not as reliant on our endowment as other institutions,” he added. Paul Smith’s is under a hiring freeze, and NCCC is bracing for a reduction in state aid (some funding also comes from Essex and Franklin Counties). Both institutions are trying to cut costs without having to lay off faculty or trim education programs, Aaron and Trathen said. The Adirondack Council this week issued a report on drinking-water contamination and environmental damage caused by road salt throughout New York State. The advocacy group offered six steps that could curtail the pollution, such as better coordination between state and local plowing crews, preemptive deicing, and development of salt alternatives. At the bottom of a bulleted list of recommendations was the simplest: Slow Down. “New York should adopt an aggressive approach to encourage safer winter driving, which can include lower winter speed limits, well-placed variable message boards, and greater enforcement of safe speed limits during winter storms,” the Council said. There are other good reasons to ease up on the gas. » Continue Reading. In February 2008, the Adirondack Mountain Club (ADK) won a major victory when the U.S. Circuit Court of Appeals for the District of Columbia threw out the CAMR, a cap-and-trade program that allowed polluters to buy pollution credits and emit mercury without pollution controls. CAMR resulted in regional mercury “hot spots,” and two recent studies have linked coal-fired power plants to mercury hot spots in the Adirondacks and Catskills. The appeals court ruled that the EPA mercury plan conflicted with the clear language of the federal Clean Air Act, which requires each power plant to install the best technology available to reduce mercury emissions by as much as 90 percent. The Bush administration and the utility industry appealed to the U.S. Supreme Court. Although the Obama administration withdrew the federal government’s appeal, the industry continued to pursue the case. Today, the Supreme Court dismissed the industry’s writ of certiorari, thus upholding the appeals court’s decision in the case. 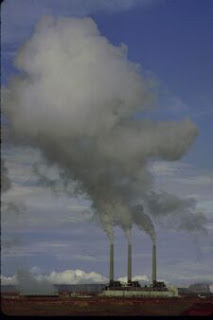 In enacting the Clean Air Act, Congress provided for strict limits on mercury emissions through the installation of maximum achievable control technology, which Congress made applicable to all coal-burning power plants. By contrast, the EPA administrative rule challenged in this lawsuit would have delayed for two decades the elimination of airborne mercury emissions as a source of mercury toxins in the Northeast. Furthermore, the contested rule would have allowed many of the worst polluters to buy “pollution rights,” continue to release mercury up their smokestacks and perpetuate mercury hot spots in New York and the Northeast. The Adirondacks and Catskills are downwind of numerous coal-burning power plants, whose mercury emissions contribute significantly to mercury pollution in these regions. A 2007 independent study by the Charles Driscoll and the Hubbard Brook Research Foundation estimated that mercury emissions from U.S. coal-fired power plants are responsible for 40 percent to 65 percent of mercury deposition in the Northeast. Current levels of mercury deposition in the Northeast are four to six times higher than the levels recorded in 1900. Ninety-six percent of the lakes in the Adirondack region and 40 percent of the lakes in New Hampshire and Vermont exceed the recommended EPA action level for methyl mercury in fish. Because of high mercury levels in fish from six reservoirs in the Catskills, state health officials have warned that infants, children under 15 and women of childbearing age should not eat any fish from these reservoirs. Mercury is also present in two-thirds of Adirondack loons at levels that negatively impact their reproductive capacity, posing a significant risk to their survival.